Around 130 art works including calligraphies, canvases, wood mosaics, water-color paintings, zen paintings, and photographs are on display at an exhibition held in Ho Chi Minh City to mark a major Buddhist festival. The “Buddhist Culture and Society” exhibition, held on the occasion of the fifth United Nations day of Vesak, which celebrates the Buddha’s birthday, enlightenment, and death, will raise funds for charity. The photos, paintings, and calligraphic scrolls are hung on tall lotus-shaped towers or on walls near idols of God-Defenders of Dharma. The calligraphic works, with their vivid beauty, have been done by a number of famous artists including Le Lan, Song Nguyen, Dang Lan, Tue Chieu, and Hoa Nghiem. One of the highlights is an abstract picture in zen painting style by Vien Thuc, which features two lines of poetry in Chinese characters written horizontally in exquisite brushstrokes. 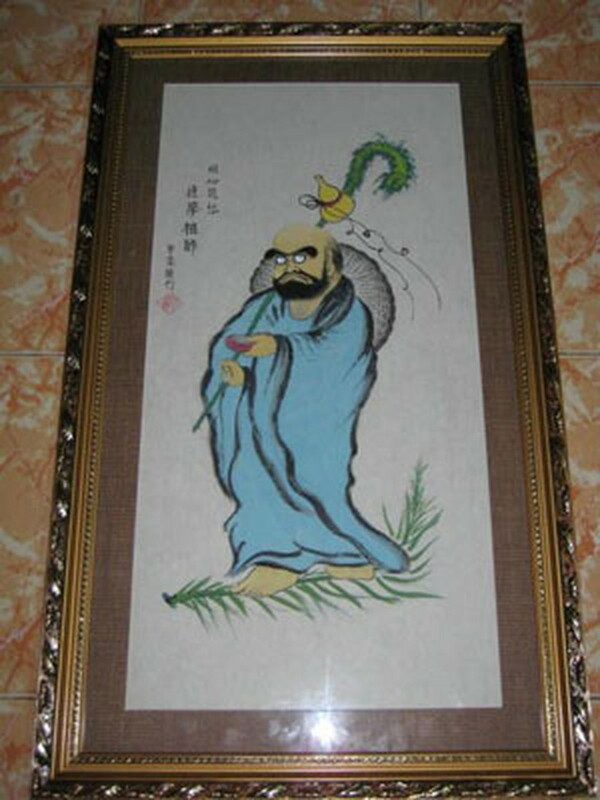 For aficionados of zen painting there is also the work “Bodhidharma” by Tue Hanh. Some artists have introduced a new style of work. Thanh Tuan, 26, who graduated from the HCMC University of Fine Arts, has used his long finger nails like a brush to create the water color painting “Peony flowers”, while Le Trieu Dien has mixed sand with oil paint to add to the visual effects of his works. 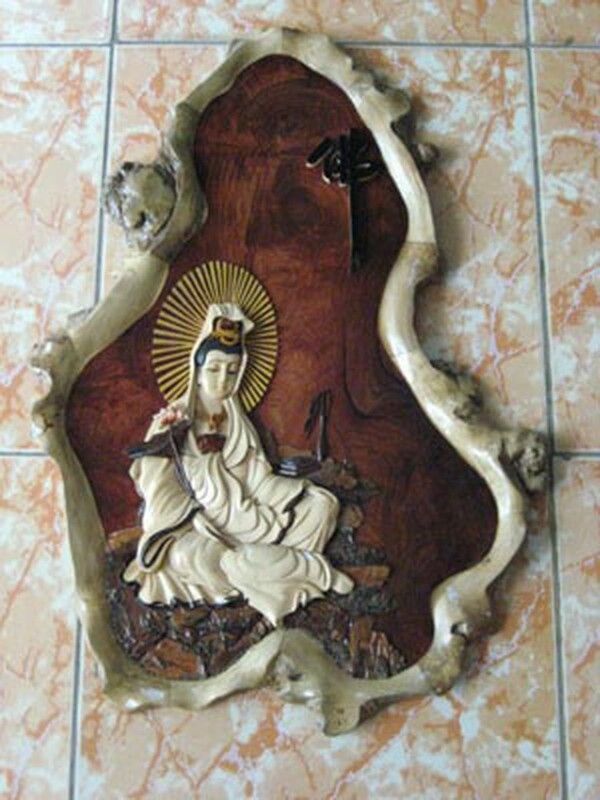 Those who love wood mosaics will be surprised at the inexpensive price tags two of the works by Cong Nguyen, who graduated from Art School in France, carry -- they depict Avalokiteshvara, a Bodhisattva who embodies the compassion of all Buddhas in Buddhism. Nguyen said he was determined to keep his prices modest, considering it his small gift to benefactors who were giving a helping to unfortunate children by buying his works. For two pieces, prices have not been set yet. One is a calligraphy featuring the poem “Lotus” by Buddhist monk Thich Thien Chieu, abbot of the Ky Quang II pagoda, in Vietnamese and Chinese. The work bears the fingerprints or autographs of all the artists taking part in the exhibition. 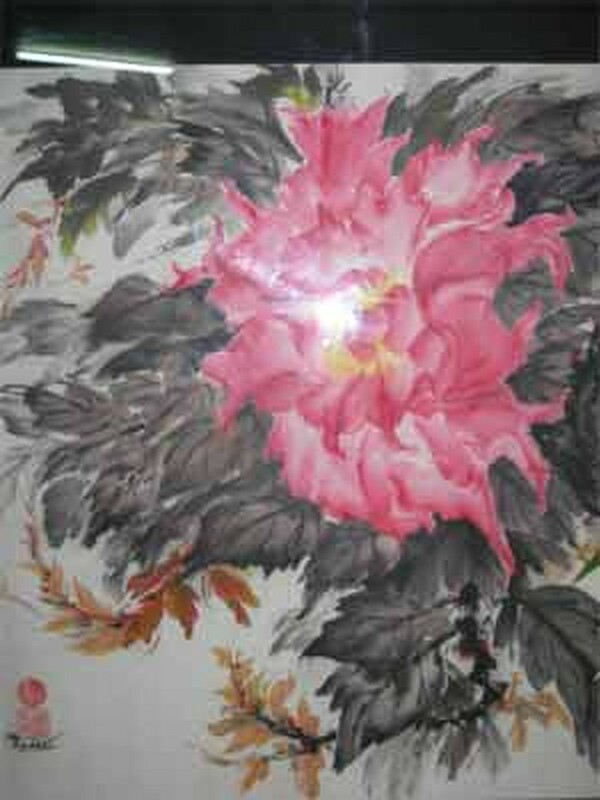 The other is a canvas by Indian artist Lakshmi. The organizers said that they would hold an auction for the two later. The pagoda where the exhibition is being held is widely known for having no doors, pillars, or roof. In fact, it is built in the shape of a hill. Visitors will feel a bit like going into a deep cave when they step over the threshold to climb down the stairs to a basement where the works are displayed. All the proceeds from the sales of the artworks will go to the pagoda -- Ky Quang II, 154/4 Le Hoang Phai, Go Vap District – which raises more than 200 orphans and handicapped children. The exhibition lasts until May 25.